The New Right Party’s hopes to salvage a place in the Knesset appeared lost on Sunday night after the Central Elections Committee announced that a recount requested by the party yielded only one erroneous vote. As of Sunday evening, New Right was still 1,344 votes shy of the 139,898 votes required for representation in the Knesset, out of a total of 4,308,446 valid ballots cast last Tuesday. The recount was limited limited to ballot boxes which were used for special votes – the double-enveloped ballots cast by Israeli citizens unable to vote at the ballot nearest to their home, including hospital patients, soldiers stationed at bases across the country, prison inmates, diplomats working overseas, and disabled voters unable to reach the polls. 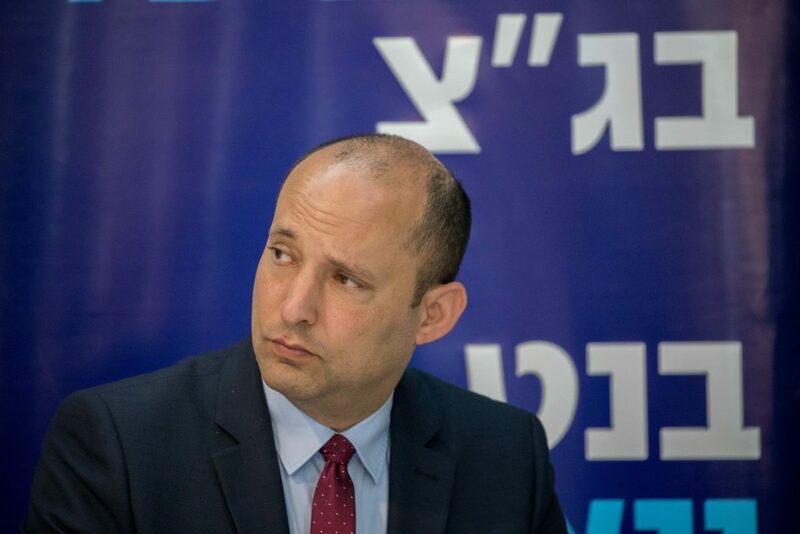 The party, led by Naftali Bennett and Ayelet Shaked, cited reports of hundreds of irregularities, besides the computer “glitches” admitted by the Committee which had plunged the outcome into uncertainty for a day after the polls closed. Even afterwards, Judge Hanan Melcer, the chairman of the Central Elections Committee, gave formal notification that the overall count was still subject to change until submission of the final figure to the president on April 19. Meanwhile, on Sunday, Bennett and Shaked, who served as Ministers of Education and Justice respectively, in the outgoing government, were conspicuously absent from the weekly cabinet meeting, which was held in a festive, election victory, pre-Pesach mood. “I want to praise the members of this government for four years of accomplishments, a great many accomplishments,” Prime Minister Benjamin Netanyahu said in his opening remarks. “This is obvious from the public’s decision to renew our mandate, as a result of the tremendous things we have done in all areas represented at this table. “We will continue to do so in the next government as well, and with G-d’s help we will succeed,” the prime minister said, before the ministers toasted their election success with glasses of wine. Before the elections, Bitan had proposed that Shaked join Likud, and on Sunday said that if she had done so, she would be in the party’s leadership now. Her colleague, Naftali Bennett, did not get Bitan’s endorsement. When asked about Bennett, he said that the latter’s repeated public criticisms of Mr. Netanyahu put him out of the running. Moshe Kahlon and his Kulanu party, Bitan said that in principle there is no problem to their being accepted by Likud, providing demands for official appointments remain commensurate with a 4-seat party. As for Avigdor Liberman, he said that the demands for the defense and interior portfolios could not be met, given the competing demands of the other parties. The emergence of Yariv Levin as a candidate for justice minister raised eyebrows on Sunday. Levin, a Likud MK who served as Tourism Minister in the outgoing government, has been a strong critic of the High Court. Bitan said Levin was the best candidate for the job. “The time has come for the Likud to enter the matter clearly,” he said.